Most puppies, along with their rounded shapes and unsure movements, appear irresistible to many people, but is it the best choice for everyone? How does the age of a dog’s adoption influence the relation with its owner? And is it true that an older dog does not bond again with the new owners? Most puppies, along with their rounded shapes and unsure movements, appear irresistible to many people, but ¿is it the best choice for everyone? ¿How does the age of a dog’s adoption influence the relation with its owner? And ¿is it true that an older dog does not bond again with the new owners? 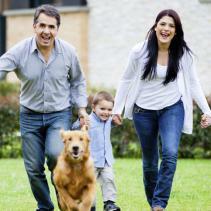 This article will help you think about adopting dogs of different ages. A puppy often means dedication and patience because it needs to learn everything: to relieve itself in the street, to play correctly, to become familiar with a number of people and situations, to differentiate its toys from decoration objects of the house and, in general, to control its energy. So a puppy is not the first choice for people who can spend little time on their education. Also, a puppy has not yet developed definitive features and we cannot accurately predict the size or temperament that it will have as an adult. On the other hand, a puppy can adapt more easily to the specific domestic environment in which it will live, and it is a good choice in homes where there are already other pets. In addition, as they have had no previous owners, you can teach clear guidelines from the start, without the risk of conflict with prior learning. To adopt a puppy, the ideal age is 7–8 weeks, although to ensure their proper development it is advisable to avoid too early a separation from the mother and siblings. Regarding adult and elderly dogs, there are no surprises on their size, physical and temperamental characteristics: you already know if the dog has a tendency to bark, if it is tolerant of children, if it is playful with other dogs, etc. Also, adult dogs often know they should relieve themselves in the street and they do not usually exhibit the typical tendency of puppies to explore the environment with the mouth, a trend that usually ends with some destruction at home. 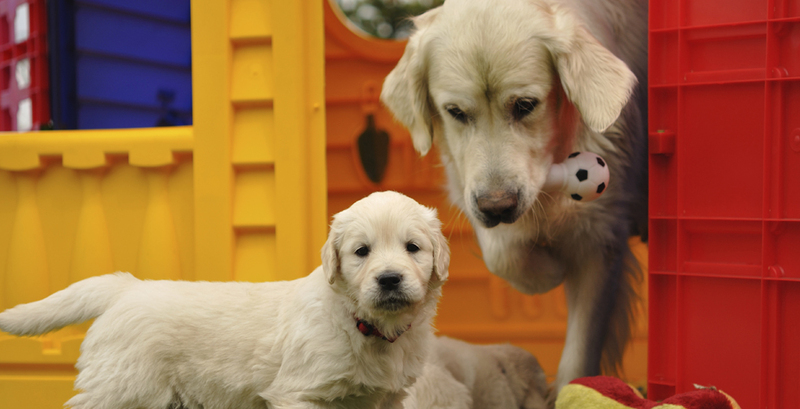 These features make these dogs a good choice for homeowners with little experience in raising puppies. Regarding the level of energy, a young adult dog may still be very active and adapt well to homeowners who want to do physical exercise with the dog, while an elderly dog is usually less active and may adapt better to another type of owner. Furthermore, the fact of having previously lived with other people does not affect the possibility of adult and elderly dogs forming strong emotional bonds with the new owners. However, in some cases adopting an adult or elderly dog may require special care: this is the case for dogs that have been abandoned due to behavioural problems, which could make their integration into the new home more delicate. In addition, senior dogs tend to have lower life expectancy and often need more veterinary care and economic investment than younger dogs. No dog is perfect and every decision has its pros and cons. However, whether puppy, adult or elderly, a dog can become a great life partner with whom to share moments of love and fun.